Analysts at CLSA downgraded CF Industries Holdings, Inc. (NYSE: CF) from Outperform to Sell. The price target for CF Industries Holdings has been lowered from $310.00 to $260.00. CF Industries Holdings' shares closed at $320.82 yesterday. Analysts at Citigroup downgraded Energen Corporation (NYSE: EGN) from Buy to Neutral. Energen shares closed at $73.71 yesterday. Analysts at Oppenheimer downgraded Devon Energy Corp (NYSE: DVN) from Outperform to Perform. Devon Energy shares closed at $62.47 yesterday. Analysts at BMO Capital downgraded Axis Capital Holdings Limited (NYSE: AXS) from Outperform to Market Perform. Axis Capital Holdings' shares closed at $57.61 yesterday. Barrington Research downgraded Rudolph Technologies Inc (NYSE: RTEC) from Outperform to Market Perform. Rudolph Technologies' shares closed at $13.06 yesterday. Citigroup downgraded EP Energy Corp (NYSE: EPE) from Neutral to Sell. EP Energy shares closed at $13.59 yesterday. 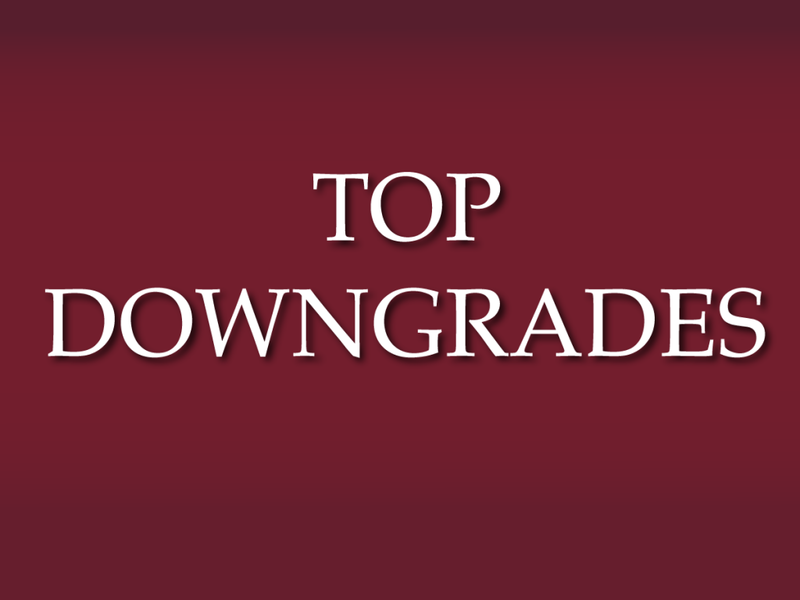 Bank of America downgraded Dynex Capital Inc (NYSE: DX) from Neutral to Underperform. The price target for Dynex Capital has been lowered from $8.00 to $7.00. Dynex Capital shares closed at $7.78 yesterday. FBR Capital downgraded Standard Pacific Corp. (NYSE: SPF) from Outperform to Market Perform. The price target for Standard Pacific is set to $9.50. Standard Pacific shares closed at $8.79 yesterday. 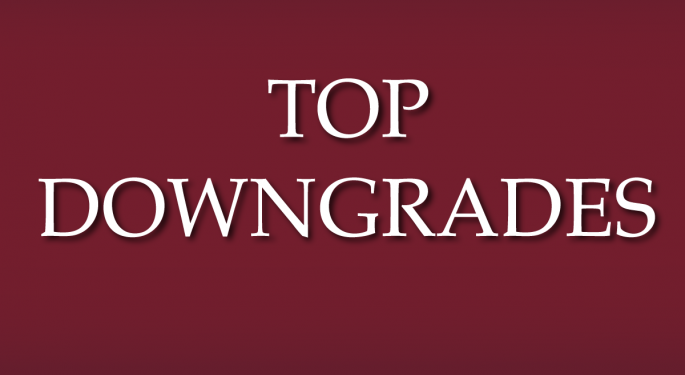 Bank of America downgraded CYS Investments Inc (NYSE: CYS) from Neutral to Underperform. CYS Investments' shares closed at $8.70 yesterday. Craig-Hallum downgraded Zix Corporation (NASDAQ: ZIXI) from Buy to Hold. Zix shares closed at $5.42 yesterday.